For Breakfast on this Sunday Morning I Poached an Egg and served it on a Healthy Life Whole Grain English Muffin. Also had that Morning Cup of Bigelow Decaf Green Tea. Mom went on to Church and I stayed home keeping an eye on Dad. Did some light house cleaning, swept the wooden deck off outside, and did a load of laundry for Mom. After Lunch went over to a friend of mine to catch up, hadn’t seen him in a while. Sunny and 50 degrees outside today. Mom already has flowers coming up in the front. I’ll be glad to see the Spring here! So for dinner tonight it’s Crab Cake Slider w/ Baked Fries. 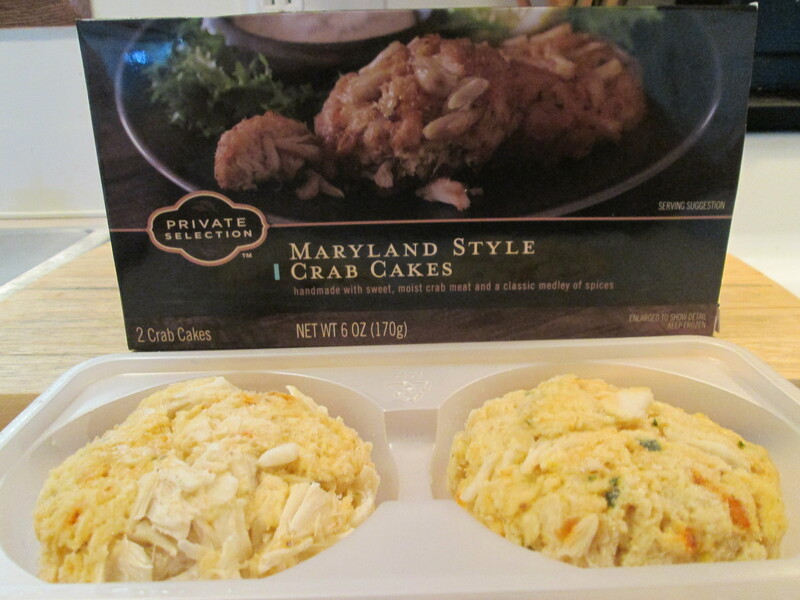 I’m using Kroger Private Selection Maryland Style Crab Cakes, my favorite! They come frozen and there’s 2 to a box. To prepare them just preheat the oven on 400 degrees and bake for 30 minutes. Nothing beats a fresh made Crab Cake, but these are too good to be frozen! They’re just the right size, about 3.5 ounces each, and full of flavor. Baked them for about 30 minutes and they were done. Topped them with Louisiana Remoulade Dressing and served then on a Pepperidge Farm Sweet and Soft Slider Bun. This makes one delicious Slider! The taste of the Crab Meat and Remoulade Sauce is perfect together! If you want one flavorful Remoulade Sauce you have to try the LOUISIANA Remoulade Dressing. This sauce is incredible and is good on about anything you put it on! Timeless and without pretense, our “Bakery Classics” stand for quality, with premium ingredients, perfectly orchestrated with a baker’s touch. Make your barbecues a little more special with our delicious buns. 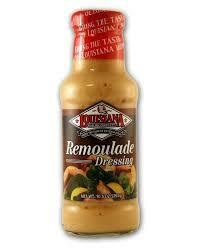 LOUISIANA Remoulade Dressing is typically a cold dressing served with chilled boiled seafood. This dressing combines the perfect blend of soybean oil, horseradish, egg yolks, tomato paste, onion, garlic and other spices. Use it as a dipping sauce for your favorite seafood or meats. Started my morning off with 2 slices of toasted Aunt Millie’s Light Whole Grain Bread (lightly buttered), 1 medium egg (sunny side up), 2 Jennie – O Turkey Breakfast Sausage Links, and my morning cup of Bigelow Decaf Green Tea. After Breakfast I went to the local Kroger up the road, needed a few items. Stopped by the ATM and got gas before heading back. Rain early then mostly cloudy and 53 degrees out. A friend of mine called and asked if I could pick them up at the Dayton Airport, picked them up at 2:30 this afternoon. Back home not a lot going on. So for dinner tonight it’s Crab Cake Slider w/ Baked Fries. 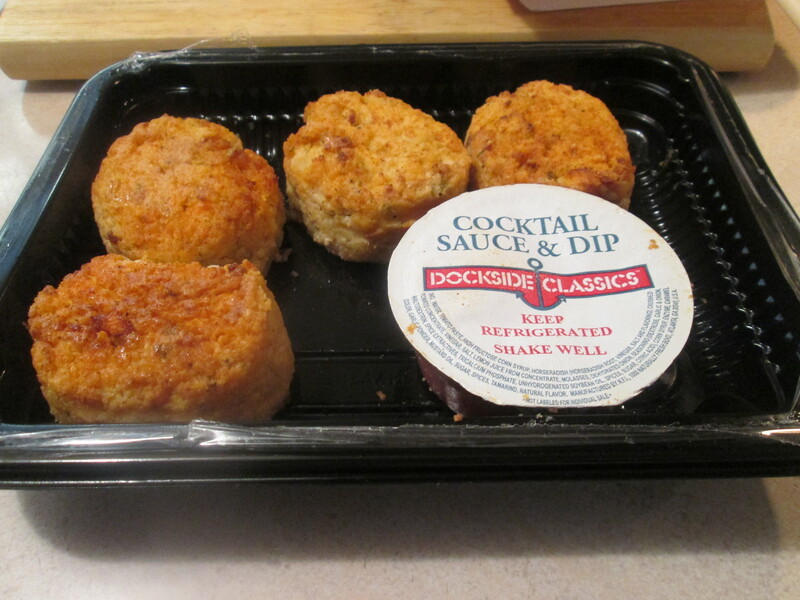 I’m using Kroger Private Selection Maryland Style Crab Cakes, my favorite! They come frozen and there’s 2 to a box. To prepare them just preheat the oven on 400 degrees and bake for 30 minutes. Nothing beats a fresh made Crab Cake, but these are too good to be frozen! They’re just the right size, about 3.5 ounces each, and full of flavor. Baked them for about 30 minutes and they were done. Served then on a Pepperidge Farm Wheat Slider Buns. Topped them with Louisiana Remoulade Dressing. This makes one delicious Slider! The taste of the Crab Meat and Remoulade Sauce is perfect together! If you want one flavorful Remoulade Sauce you have to try the LOUISIANA Remoulade Dressing. This sauce is incredible and is good on about anything you put it on! Then I also Baked some Ore Ida Crinkle Fries, with a side of Hunt’s Ketchup for dipping. For dessert later a Weight Watcher’s Cookies and Cream Ice Cream Bar. Timeless and without pretense, our “Bakery Classics” stand for quality, with premium ingredients, perfectly orchestrated with a baker’s touch. Make your barbecues a little more special with our delicious buns. We hope you agree that our bakers have created a delicious, premium quality bun. Started my morning off with 2 slices of toasted Healthy Life Whole Grain Bread (lightly buttered), 1 medium egg (sunny side up), 2 Jimmy Dean Turkey Breakfast Sausage Links, and my morning cup of Bigelow Decaf Green Tea. Had some drizzles of freezing rain in the early morning again. For the day it was partly cloudy and about 39 degrees. Warmer days all next week they say! Did some house cleaning today and a load of laundry for Mom. Not a lot going on again today. Watched some College Basketball and NFL Playoffs in the afternoon. 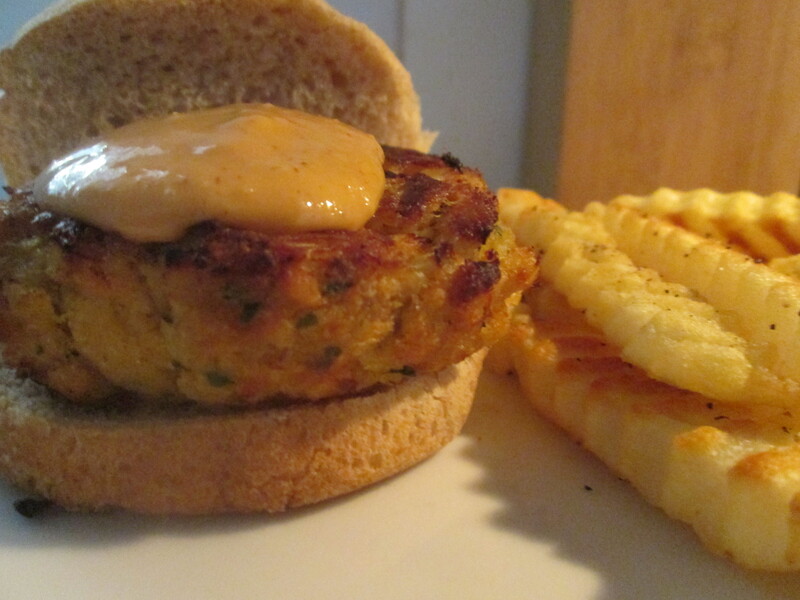 For dinner tonight it’s Crab Cake Slider w/ Baked Fries. I’m using Kroger Private Selection Maryland Style Crab Cakes. Love these, very little filler and plenty of Crab Meat! They come frozen and there’s 2 to a box. To prepare them just preheat the oven on 400 degrees and bake for 30 minutes. Nothing beats a fresh made Crab Cake, but these are too good to be frozen! They’re just the right size, about 3.5 ounces each, and full of flavor. Baked them for about 30 minutes and they were done. Served then on a Kroger Wheat Slider Buns. Topped them with Louisiana Remoulade Dressing. This makes one delicious Slider! The taste of the Crab Meat and Remoulade Sauce is perfect together! If you want one flavorful Remoulade Sauce you have to try the LOUISIANA Remoulade Dressing. This sauce is incredible and is good on about anything you put it on! One bite and you’ll instantly know these are not your typical, run-of-the-mill stuffed peppers. They are so good, you can count on being asked to make them again. 1 – Preheat oven to 400°F (205°C). 2 – Bring water to a boil in a large, deep pot. Add salt and orzo. Boil for 9 minutes. Drain in wire sieve and rinse with cold water. Drain again. Set aside. 3 – Removed sausage from casings, if necessary, and break into small pieces. Sauté over medium high heat until browned and barely cooked through. Add chopped red peppers. Remove from heat and stir in orzo and cheese until cheese melts. Cool. 4 – Coat a 13x9x2-inch baking pan with cooking spray. 5 – Stuff sausage-orzo mixture into prepared whole peppers and place peppers upright in the pan. 6 – Mix bread crumbs and pesto together and spread evenly over top of the stuffed peppers. 7 – Cover with foil and bake for 45 minutes. Remove foil and bake an additional 15 minutes or until the surface is lightly browned. For breakfast this morning I toasted a Healthy Life Whole Grain English Muffin and I reheated a slice of the Cubed Steak leftover from last night’s dinner. Made a great Breakfast Sandwich! Cold and overcast out today, just an overall dreary day. My back is still giving me problems but it is slowly getting better. Stayed busy today cleaning. Helped out with some laundry for Mom and then dusted and vacuumed the house. 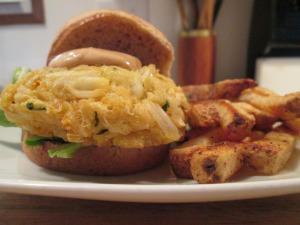 For dinner tonight it’s a Crab Cake Slider w/ Roasted Finger Potatoes. I’m using the Kroger Private Selection Maryland Style Crab Cakes. They come frozen and there’s 2 to a box. To prepare them just preheat the oven on 400 degrees and bake for 30 minutes. 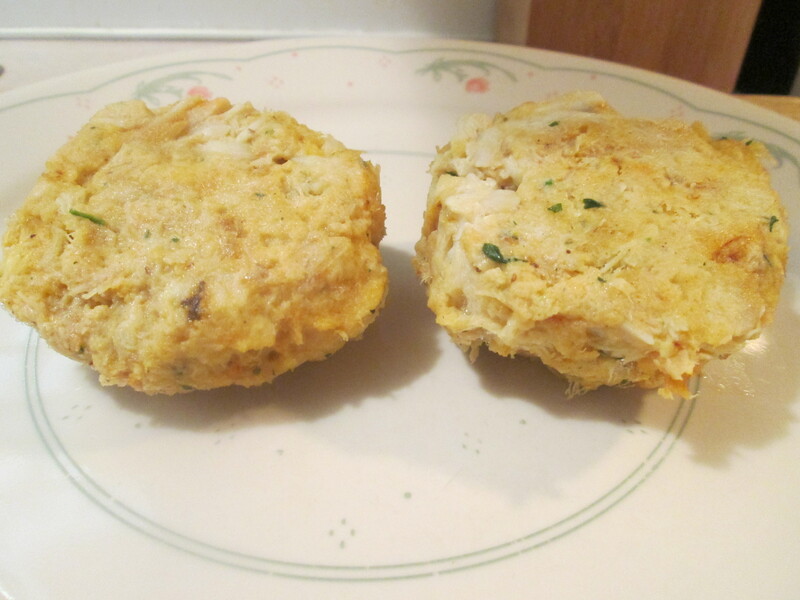 Nothing beats a fresh made Crab Cake, but these are too good to be frozen! They’re just the right size, about 3.5 ounces each, and full of flavor. Baked them for about 30 minutes and they were done. 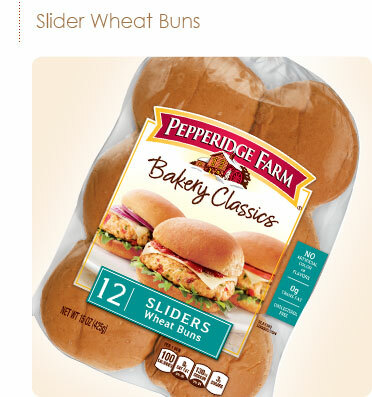 Served then on a Pepperidge Farm Wheat Slider Buns. Topped them with Louisiana Remoulade Dressing. This makes one delicious Slider! The taste of the Crab Meat and Remoulade Sauce is perfect together! If you want one flavorful Remoulade Sauce you have to try the LOUISIANA Remoulade Dressing. This sauce is incredible and is good on about anything you put it on! Then I also Baked some Fingerling Potatoes. I actually found some other than Jungle Jim’s Market, found them finally at the Kroger up the road from us! They come in a small bag, Melissa’s Fingerling Potato Medley. It’s a variety of 4-5 different Potatoes including Fingerling Potatoes, which I love using! To prepare them I started by washing the Potatoes off in cold water. I then cut the Fingerling Potatoes in half, lengthwise. Put the Potatoes in a large bowl seasoned them with; Extra Virgin Olive Oil, Garlic Powder, Sea Salt, Pepper, Chili Powder, and Kraft Reduced Fat Parmesan Grated Cheese to top the Potatoes with. Using a cookie sheet lined with foil I spread the Potatoes out on the sheet . Then Roasted them at 400 degrees until they were fork tender, about 20 minutes. Love those Potatoes! Perfect side dish for any dinner. Later for dessert I had a Healthy Life dark Fudge Swirl Frozen Greek Yogurt. Another picture perfect day outside again! No humidity, sunny, and a high of 82 degrees. After Breakfast I got the cart out for a morning ride, such a beautiful morning out. Something I’ve noticed the last few days are a lot of Geese in their “V” formation flying South and there’s a few trees in the neighborhood that the leaves are already turning. Signs of an early Fall perhaps? Did a couple of loads of laundry for Mom and tidy up around the house while that was going on. Back on the cart enjoying the day after that. For dinner tonight its a Crab Cake Slider w/ Baked Fries. I’m using Kroger Private Selection Maryland Style Crab Cakes. They come frozen and there’s 2 to a box. To prepare them just preheat the oven on 400 degrees and bake for 30 minutes. Nothing beats a fresh made Crab Cake, but these are too good to be frozen! They’re just the right size, about 3.5 ounces each, and full of flavor. Baked them for about 30 minutes and they were done. Served then on a Pepperidge Farm Wheat Slider Buns. Topped them with Louisiana Remoulade Dressing. This makes one delicious Slider! The taste of the Crab Meat and Remoulade Sauce is perfect together! If you want one flavorful Remoulade Sauce you have to try the LOUISIANA Remoulade Dressing. This sauce is incredible and is good on about anything you put it on! Then I also Baked some Ore Ida Crinkle Fries, with a side of Hunt’s Ketchup for dipping. For dessert later a Healthy Choice Dark Fudge Swirl Frozen Greek Yogurt. It’s a warm Summer’s day out there today. Lots of sunshine and a high around 86 degrees. I broke out the Glier’s Turkey Goetta for Breakfast! I love Goetta, the aroma of it when your frying it just makes your mouth water! I also prepared a couple of slices of Klosterman Wheat Bread and my morning cup of Bigelow Decaf Green Tea. After that my morning workout and a shower. Both Mom and Dad went to Church so I spent the day cleaning inside and out today. Had a few spots I had to scrub on the hard wood floor also. After everything was done I got the Cart out for a bit to enjoy the rest of the day. For dinner tonight it’s Surf and Turf! 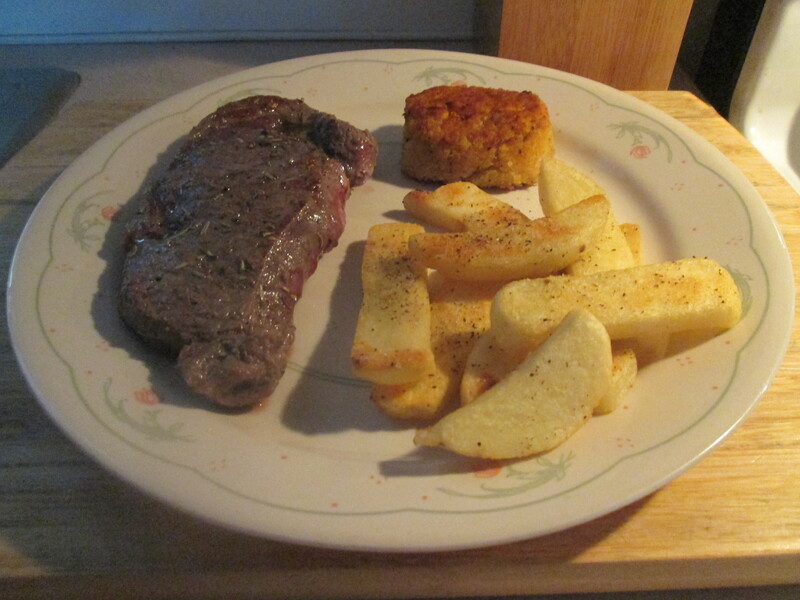 I prepared Crab Cake and Bison Strip Loin Steak w/ Baked Fries. I’ve prepared Surf and Turf a few times but never with these 2 items, first time trying them both. I normally use Wild Idea Buffalo but while at Kroger last week I noticed they had Bison items by Simple Truth so I thought I would give them a try. 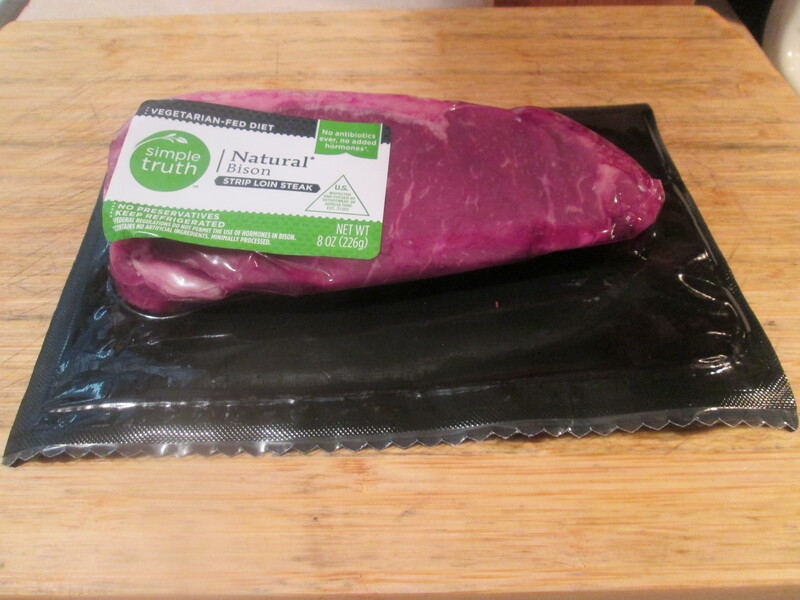 I had the Simple Truth Bison Strip Loin Steak in the freezer so I sat it in the fridge overnight to thaw. To prepare it I put a light coat of Extra Virgin Olive Oil on it. I then seasoned it with McCormick Grinder Sea Salt and Peppercorn Medley. i pan fried it in a medium skillet, sprayed with Pam Cooking Spray, on medium heat. I cooked it about 4 minutes per side, for medium rare. The Bison came out moist and very tender. It doesn’t have the same somewhat sweet taste that the Wild Idea Buffalo does but it’s a very good Bison Steak! 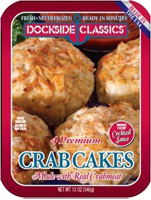 Then for the Crab Cakes I used Dockside Classics Premium Crab Cakes. I purchased the box of these at Kroger also, and first time trying them. They come 4 to a box. To prepare them preheat the oven on 400 degrees. Remove them from the package and place them on a cookie sheet. Then I baked them for 16 minutes. Remove them from the oven and let cool for 3 minutes and served. Not real big Cakes but meaty, well seasoned, and a very good crab Cake. It comes with a small container of Cocktail Sauce. 150 calories and 7 carbs per Crab Cake. I also baked some Ore Ida Steak Fries with a side of Hunt’s Ketchup for dipping. For dessert later a Healthy Choice Dark Fudge Swirl Frozen Greek Yogurt. Seafood America brings the best of the ocean’s bounty to your table. Our Dockside Classics feature the very finest seafood for everyone who wants a delicious, easy-to-prepare meal. We are committed to developing high-quality products that suit your active lifestyle. We also pride ourselves on meeting our customer’s needs—any of our products can be customized for private label. Try all of our Dockside Classics and treat yourself to a waterfront meal—so good that you’ll swear you can smell the salt air—right in your own home. Premium Crab Cakes – Four hand-made lump crab cakes with just the right amount of seasonings and spices. Comes with our own delicious recipe of cocktail sauce. We’re getting a one day break from the humid weather, the humidity returns tomorrow they say though. Ran some errands for Mom and caught up on some things around the house. Dad is doing a lot better it seems, making a slow but sure progress. Fired up the grill for lunch, grilled a Bluegrass Lean Brat. Then for dinner tonight I had a Crab Cake Slider w/ Baked Fries. I’m using Kroger Private Selection Maryland Style Crab Cakes. They come frozen and there’s 2 to a box. To prepare them just preheat the oven on 400 degrees and bake for 30 minutes. Nothing beats a fresh made Crab Cake, but these are too good to be frozen! They’re just the right size, about 3.5 ounces each, and full of flavor. Baked them for about 30 minutes and they were done. Served then on a Pepperidge Farm Wheat Slider Buns. Topped them with Louisiana Remoulade Dressing and Arugula. This makes one delicious Slider! The taste of the Crab Meat and Remoulade Sauce, then the Peppery taste of the Arugula is perfect together! If you want one flavorful Remoulade Sauce you have to try the LOUISIANA Remoulade Dressing. This sauce is incredible and is good on about anything you put it on! Then I also prepared one of my favorite sides, Ore Ida Simply Cracked Black Pepper and Sea Salt Country Style Fries. Love these Fries, they’re 130 calories and 20 carbs per serving. And a serving is 13 Fries, which is plenty. For dessert later a Healthy Choice Dark Fudge Swirl Frozen Greek Yogurt. Went for my yearly eye check-up this morning, everything looked good; no changes. Then it turned to a frustrating day! I get my prescriptions through the mail and the drug co. said my doctor will not respond to their faxes and of course the doctor’s office says they didn’t receive any faxes. Finally got that straightened up and ran into a computer operating snag. Nothing major just annoying, Google Chrome bugs that wont let me access certain sites and functions. Still working to correct that. Besides all that not a bad day! For dinner tonight Crab Cake Slider w/ Baked Fries. Once again I’m using Kroger Private Selection Maryland Style Crab Cakes. They come frozen and there’s 2 to box. To prepare them just preheat the oven on 400 degrees and bake for 30 minutes. Nothing beats a fresh made Crab Cake, but these are too good to be frozen! They’re just the right size, about 3.5 ounces each, and full of flavor. Baked them for about 30 minutes and they were done. Served then on a Pepperidge Farm Wheat Slider Buns. Topped them with Louisiana Remoulade Dressing and Arugula. This makes one delicious Slider! The taste of the Crab Meat and Remoulade Sauce, then the Peppery taste of the Arugula is perfect together! Then I also prepared one of my favorite sides, Ore Ida Simply Cracked Black Pepper and Sea Salt Country Style Fries. Love these Fries, they’re 130 calories and 20 carbs per serving. And a serving is 13 Fries, which is plenty. For dessert later a Healthy Choice Dark Fudge Swirl Frozen Yogurt. LOUISIANA Remoulade Dressing is typically a cold dressing served with chilled boiled seafood. This dressing combines the perfect blend of soybean oil, horseradish, egg yolks, tomato paste, onion, garlic and other spices. Use it as a dipping sauce for your favorite seafoods or meats. Finally a beautiful, and warm, Spring Day today! It started out in the 40’s but warmed up after that. Sunny all day and high in the 70’s! Now that’s Spring Time Weather. Went to Walmart and Kroger to pick up some items for myself and my Mom. After that started going through the shed again, throwing out some things and straightening up. Still a lot of junk to go through. For dinner tonight Crab Cake Slider w/ Baked Fries. I just had Crab Cakes the other night and they were so delicious I’m having more tonight, but as a Slider Sandwich. Once again I used Kroger Private Selection Maryland Style Crab Cakes. They come frozen and there’s 2 to box. To prepare them just preheat the oven on 400 degrees and bake for 30 minutes. Nothing beats a fresh made Crab Cake, but these are too good to be frozen! They’re just the right size, about 3.5 ounces each, and full of flavor. Baked them for about 30 minutes and they were done. Served then on a Pepperidge Farm Wheat Slider Buns. Topped them with Louisiana Remoulade Dressing and Arugula. This makes one delicious Slider! The taste of the Crab Meat and Remoulade Sauce, then the Peppery taste of the Arugula is perfect together! Then I also prepared one of my 2 favorite sides, Green Beans being the other, Ore Ida Simply Cracked Black Pepper and Sea Salt Country Style Fries. Love these Fries, they’re 130 calories and 20 carbs per serving. And a serving is 13 Fries, which is plenty. For dessert later a Healthy Choice Dark Fudge Swirl Frozen Yogurt.